Landscaping can be quite an undertaking. 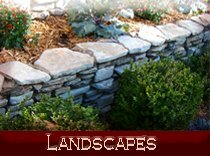 Landscape projects often begin with a simple, "Wouldn't it look nice to have a little stone border around that garden?" and then snowball into a complete overhaul of the front lawn, back lawn, and more. We'd like to help with your next project, but we also know many folks would just rather do it themselves. It is with this in mind that we offer the following hints and tips. The first mistake many homeowners make is to begin a project without thinking it through. 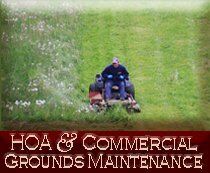 Survey the land and surrounding building structure(s) before you decide how to start beautifying your garden or lawn. Consider the soil quality, sun exposure, expected usage, and the desired purpose and overall look you wish to achieve before you begin making decisions regarding exactly what you want. 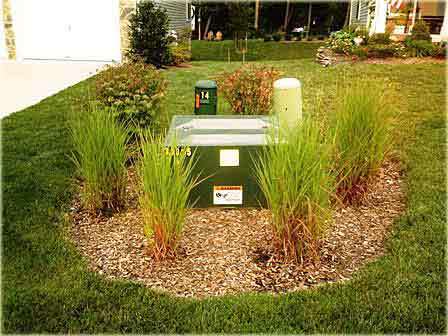 Before you dig, be certain there are no underground power or utility lines that could be damaged. 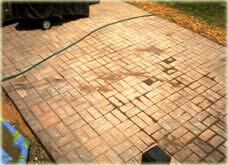 Choose plant and stone (paver) colors that will complement any existing colors, if you intend to keep them. Identify possible drainage problems, and decide how you will overcome them. Identify areas of over/underexposure to the sun, and consider seasonal changes to sun exposure. Be sure to select plants that will thrive within each area. Understand the growth characteristics of any plant (and especially trees!) that you install. Do not plant trees too close to any building structures. If your project will be in a high traffic area, be sure the products you choose can withstand that traffic over many years, and install them properly. 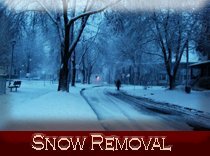 This advice goes for grasses, plants and trees as well as patios, walkways and walls. Be sure to consider the safety of children and animals, even if you don't have any of your own. This applies to the height and stability of retaining walls, the expected attraction of bees to certain flowers, and other considerations. Chances are you'll have lots of visitors once your project is complete! Once you have considered all of the factors above, it may still be useful to consult one or more landscaping idea books or industry magazines, or to attend a garden show in your area for additional ideas and tips on creating your vision and making your landscaping dreams into a reality. 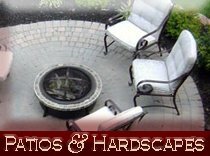 If Clayton Landscaping can be of assistance with any part of your planning or installation, please do not hesitate to contact us.